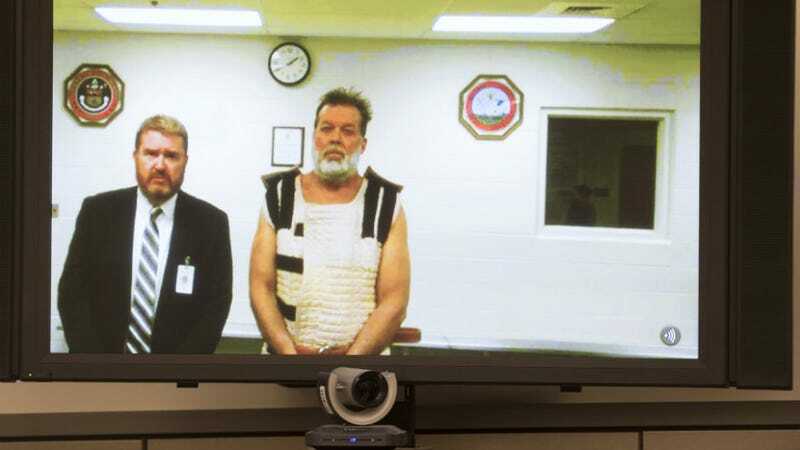 Robert Dear, the suspect in the mass shooting at a Colorado Planned Parenthood that killed two civilians and a police officer, reportedly had an outburst in court Wednesday. CBS Denver reports that he yelled, ““I am guilty. There will be no trial. I am a warrior for the babies” in the courtroom. The Independent reports that the hearing is still underway, and that Dear has had at least one other outburst, shouting, “It’s my life” as his lawyers discussed a motion with the judge.